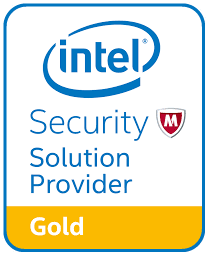 Unifeyed LLC is a Gold level Security Solutions Provider with Intel. With the rising volume and complexity of threats, and the shrinking time and resources McAfee is focusing on ways to reduce security fragmentation, automate tasks, and force-multiply capabilities. Intel Security believes that an open and integrated system best enables organizations to effectively block threats, identify compromises, and expedite remediation. They can help you expedite the entire threat defense lifecycle. Work with us to apply actionable intelligence, selective automation, and real-time collaboration. We’ll help you integrate a dynamic endpoint, intelligent analytics, cloud-delivered security, and centralized management into an adaptive system that protects, detects, and corrects today’s threats. Together, we can reduce the threats that get through, find them faster, and use fewer resources in the process.